One of the benefits of being a member of the PatchWork Collective coworking space is your chance to reach our network of businesses and professional contacts. One way we do that is through feature “Meet our Members” blog posts. In today’s post, we’ll meet acupuncturist Darlene Berger, whose business is a permanent part of the PatchWork Collective. Darlene Berger, MSAc, RAc, is an acupuncturist in active practice since 2008. She is the former owner of Community Health Acupuncture Center, a 16-chair community acupuncture clinic in Ferndale from 2008 to 2015. Now she has focused her practice on one-on-one therapeutic acupuncture treatments, helping clients with persistent pain, chronic conditions, and even everyday problems like allergies, cold, and flu. Her specialty is helping people address health concerns that allopathic medicine can’t quite figure out. I was looking for a single room to lease for a long time when I heard about the PatchWork Collective on WDET. It was a game changer for me to be able to rent just one room to keep my overhead down while I transition into a one-on-one practice from a high-volume, high overhead kind of scenario. It is a real blessing that there is someone else to take care of all the details of running a commercial building, like keeping the offices clean and stocked with consumables, paying utility bills, and, for me, I really like not having to do any snow removal! An added bonus is that other members are always around, so you don’t feel as isolated the way you might just working at home or in your own office. It’s been really nice to take a break and chat with other members to break up the day, and Lisa and Ben have been really great about trying to accommodate my needs whenever they can. Darlene Berger preparing a client for an acupuncture treatment. Darlene is a dedicated medical professional. She provides volunteer acupuncture treatments twice a month at FernCare, a free medical clinic here in Ferndale, Michigan. She is also a medical history and antiques enthusiast and has vintage glass syringes, an ether mask, and a violet ray machine (among many other strange things!) in her collection. Find out more about Darlene on her website or follow her on Facebook. You can also contact Darlene for an appointment by calling or texting her at (248) 385-3033. Darlene is a permanent member here at the PatchWork Collective. She schedules appointments for clients in her private space several days per week. Drop in to meet Darlene and all the other great members at PatchWork Collective. The PatchWork Collective wants to help our members build up their businesses and connect them with key referral partners in the local community. 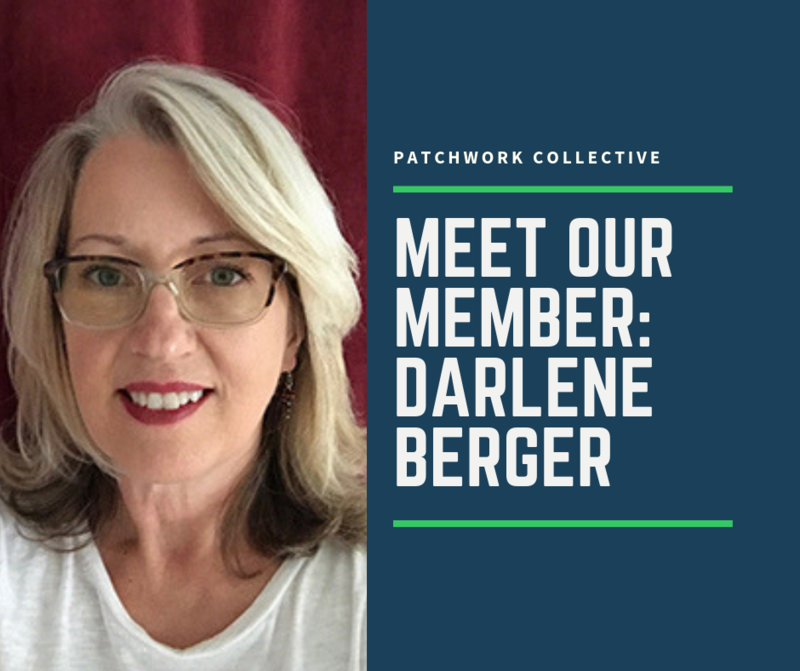 If you want to work with Darlene Berger and the other members of the PatchWork Collective, become a Community Member for free today. Previous PostMetro Detroit Writers: Put this Write Night on Your Calendar!